I'll be honest, I haven't been a real big fan of most of the "crafty" cell phone and tablet apps out there in the past, but recently I came across one that I am really loving and I thought I'd share it with you! The Martha Stewart CraftStudio App for iPad is normally $4.99, which is a good price for what you get, but I was lucky enough to get it for free when they were running a promotion recently on iTunes. It just so happens that around the time I purchased my iPad, (which was near the end of June this year), this app was just being released, so the iTunes App store was featuring it for free for a limited time. This application is so easy to use, yet delivers great results, especially considering it is a tablet app, which one would assume could not have all the capabilities and options of a full-blown computer software application! This is the first thing I made, when I was experimenting with the app and I did it in about 2 minutes. Of course, this design is pretty simplistic, but it's still cute and creative, which is what I was going for. There are many options to choose from, including 4 different themes that come with the app, "Everyday", "Birthday Party", "Doily Lace" and "Nature"
So, the creative possibilities are huge and if you decide to purchase any of the additional themes (in-app purchase), the options are practically endless! Of course, the icons are clickable and contain much more than you see in the screenshot, but I just wanted to give you an idea of what it looks like. I was pretty impressed with the overall design of the application and the nice graphics! I found this app incredibly easy to use, but just in case you do get confused (that's me!) or need help...there is built in audio tutorials at the click of a button and they are even fashionably narrated by Martha Stewart Herself! ("It's a Good Thing") LOL! All of the above were made using only the themes and tools that are included with the initial application. I just downloaded some of the additional/new themes today, so after working with those a bit, I will post some new projects so you can see the new themes! The cost for the add-on themes is $1.99 per theme and can be purchased "in app". After you are all done, you have many options to save, share or print your project. 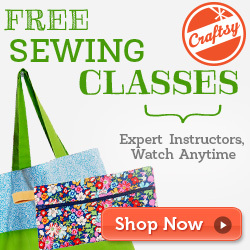 If you go to the Martha Stewart website here, there is a video that details some of the features of the application. 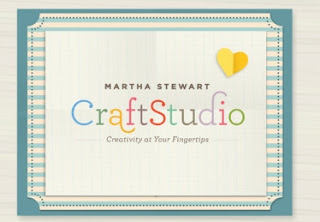 Hope you enjoyed my quick review of the Martha Stewart CraftStudio App! Disclaimer: The views/opinions expressed in this post are those of the author/owner of this blog, myself (Lisa Hall) and no one else. I have not received any compensation either monetary or otherwise to write this post or comment on this product.